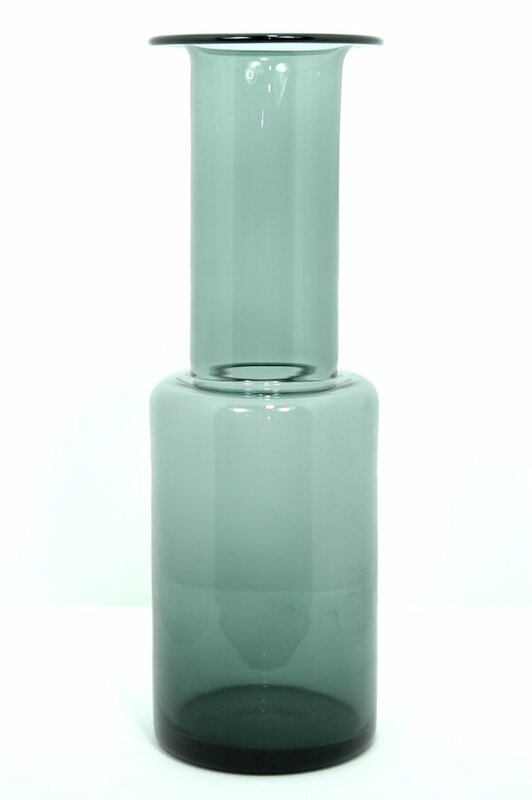 Very large straight sided Holmegaard (Denmark) Smoked Gray vase by Per Lutken. Base is etch signed "Holmegaard PL 1962". This is the largest piece of a series of cylinder vases.